Lately I'm obsessed with creating new throw pillow covers. 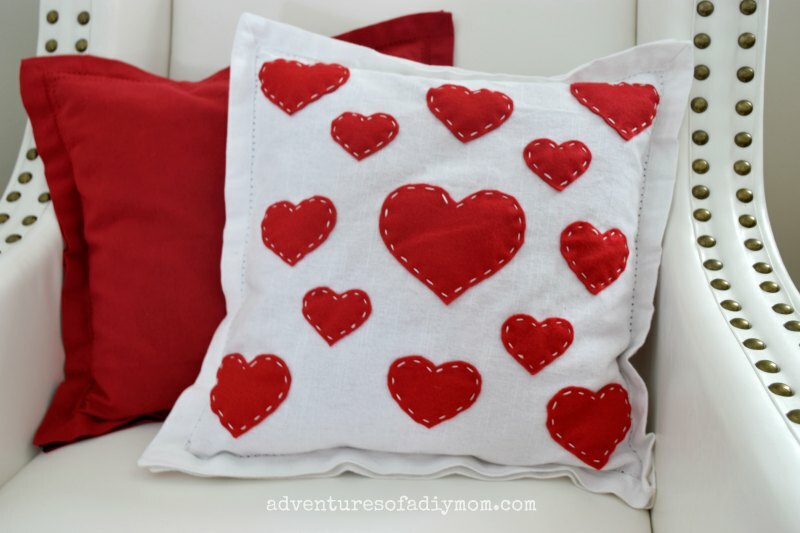 With Valentine's day approaching, I decided to make some Valentine's pillows using another new (for me) style. 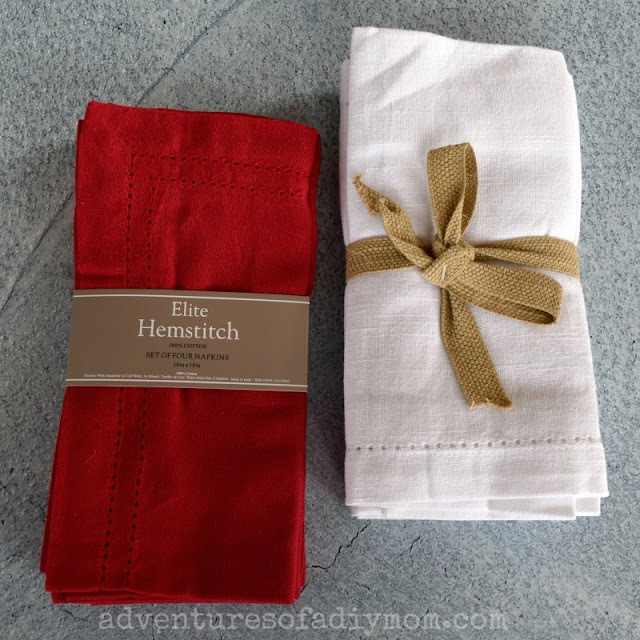 Enter cloth napkins. 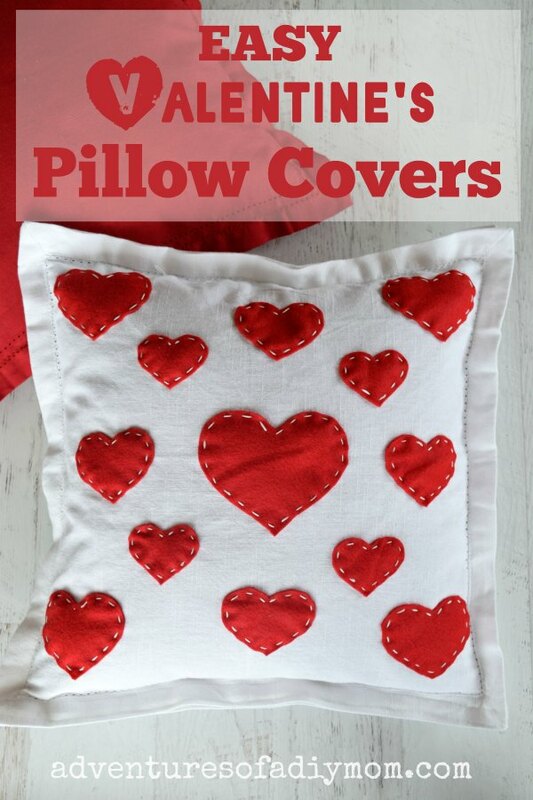 These pillow covers are each made with two napkins. You guys! These are so easy! With just a few supplies and a small amount of time, you will be looking at a new set of pillow covers. This DIY is perfect for beginner sewers and crafters, or for anyone who wants to make a quick project. 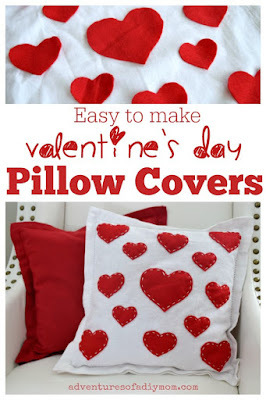 I'm loving the fact that these pillow covers can be embellished for any holiday or season. I'm seeing some St. Patrick's Day pillow covers in the near future. 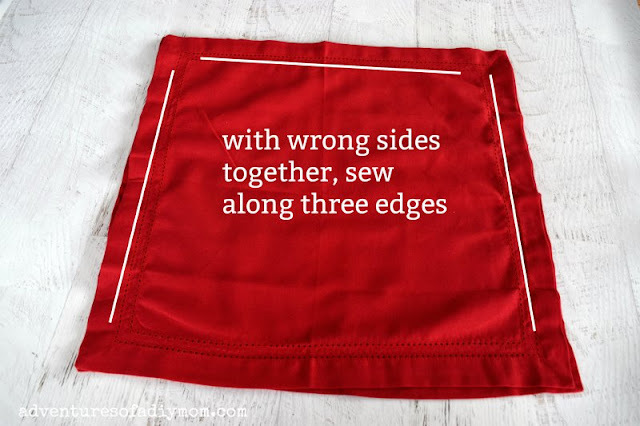 Place two napkins on top of each other, with the wrong sides together. Sew along three of the edges. I used the decorative holes as a guide, which created a border for the pillow. Cut strips of hook and loop fastener. Sew onto the inside of the open edge of the pillow. 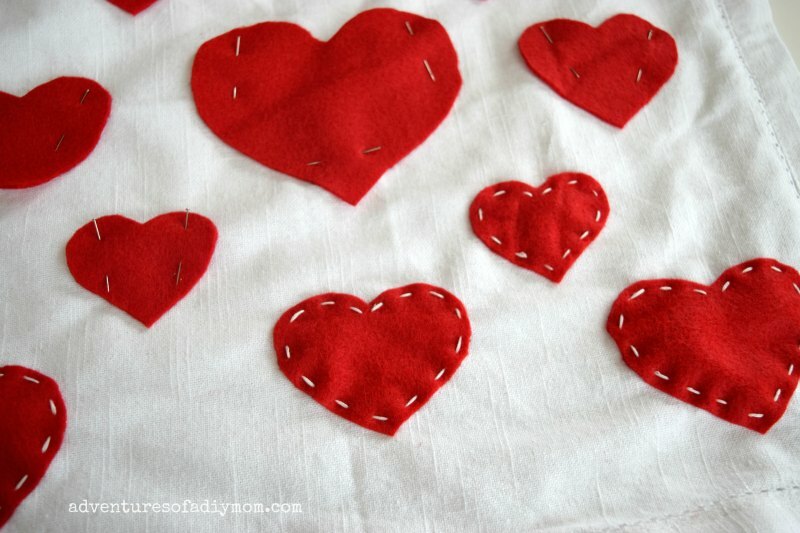 Begin by cutting out various sizes of hearts. 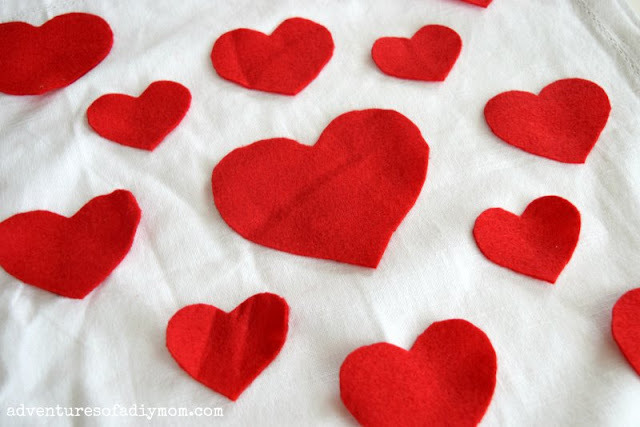 I cut out 4 hearts of three different sizes, and then one larger heart for the middle. 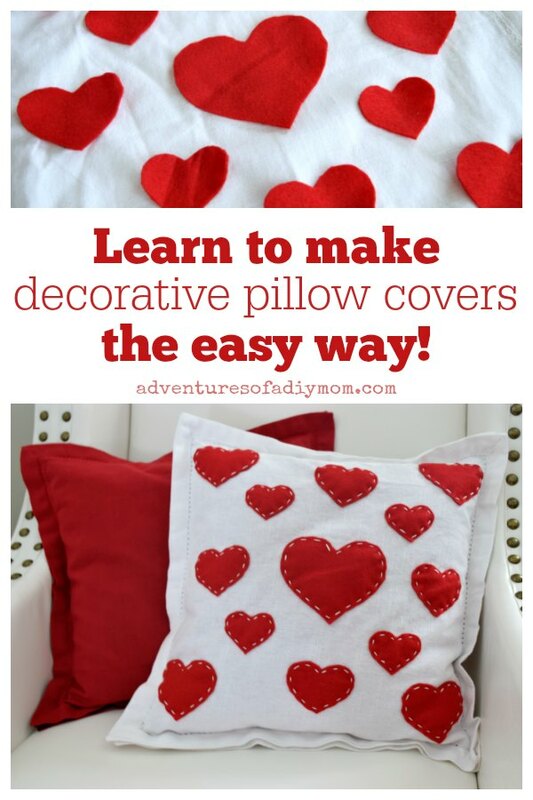 Next pin the hearts to the pillow in the desired pattern. 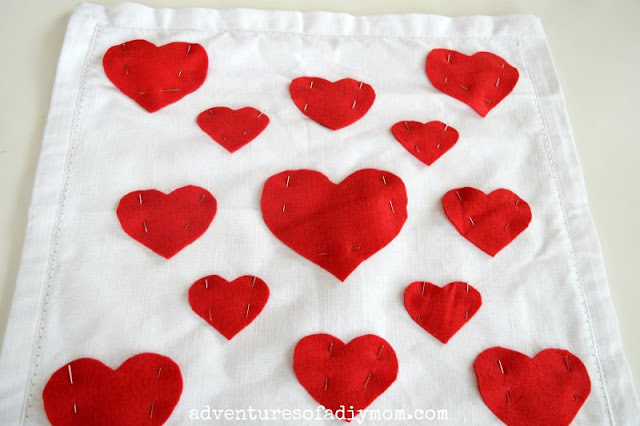 With a running stitch, sew hearts to pillow. I used white embroidery thread. Insert pillow and you're done! Go see my other pillow covers: decorative dish towel pillow covers, envelope pillow covers, and fall pillow covers. 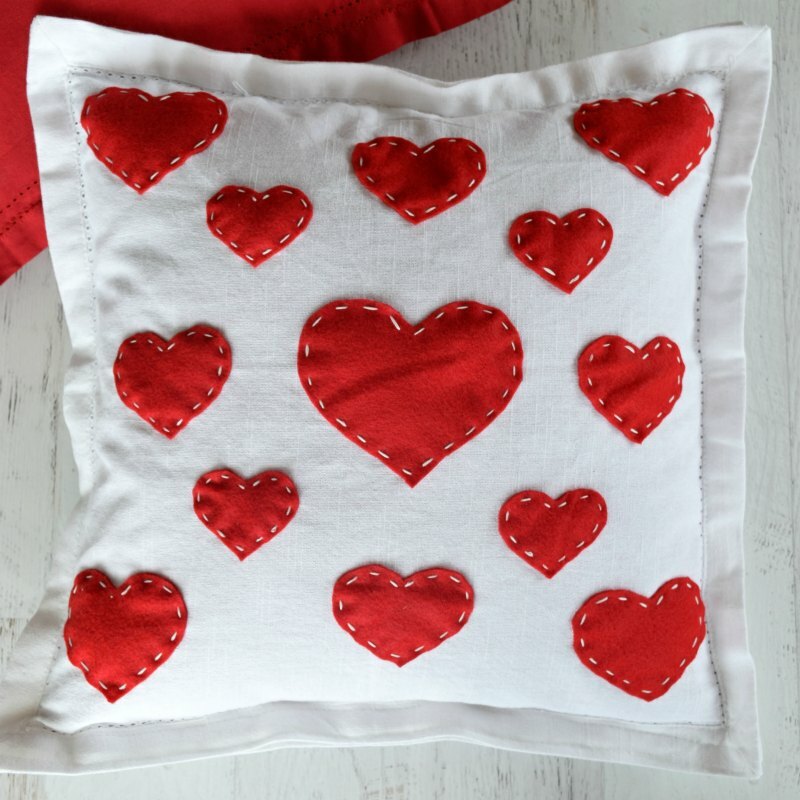 And a few pillows that I'd love to try: Patriotic Pillow, pom pom pillows, and lots more on my pillows board on Pinterest. These are beautiful! They are a perfect way to brighten any room! So adorable! 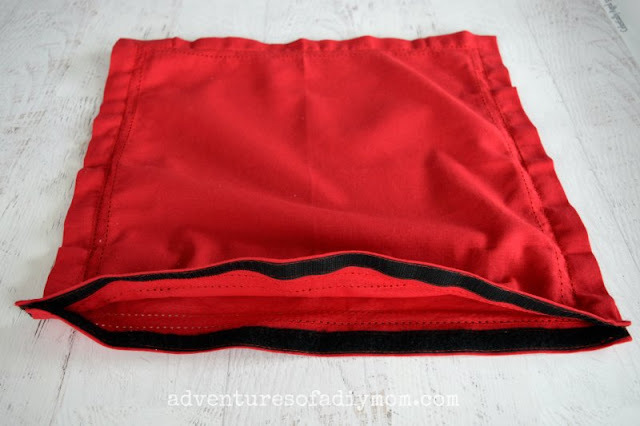 And the napkin idea is brilliant! I think I have some antique napkins this would be a great idea for, too. Oooh, I love the idea of using antique napkins!